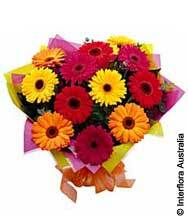 plus $10.00 delivery if required within Pt Vernon, Pialba, Scarness, Torquay, Urangan, Kawungan and Urraween. We also deliver to outlying suburbs – POA. Please fill in the form below ensuring all fields marked (required) are complete. We will contact you by telephone shortly to confirm your order and to collect credit card information. Your Phone Number (required) including area code. We will contact you on this number. Recipient's Phone Number. May be used to aid delivery.